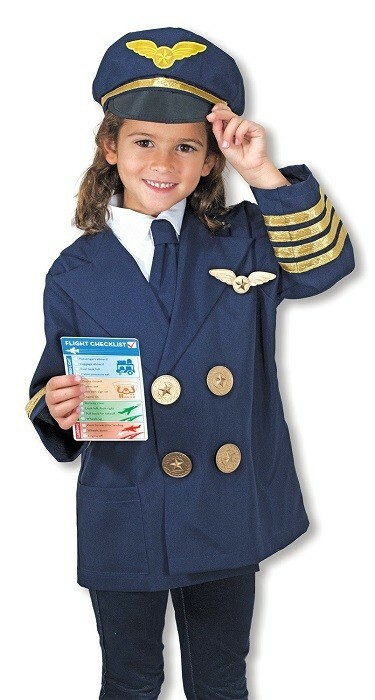 Let your Mighty Girl dream of navigating the skies in this roleplaying set from Melissa and Doug! 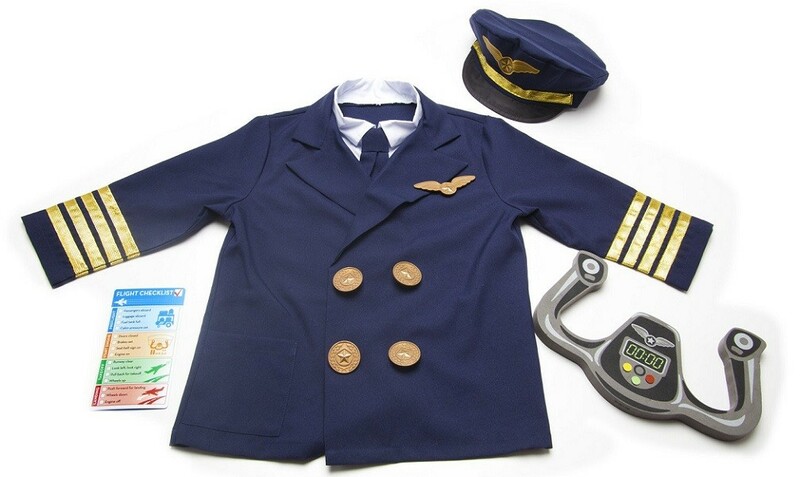 This fun set includes everything your budding pilot needs: a uniform jacket with a built-in shirtfront, a hat, a detachable necktie, a set of pilot's wings, a flight checklist, and even a steering yoke! For more books to foster your Mighty Girl's dream of flight, check out our Planes Collection.